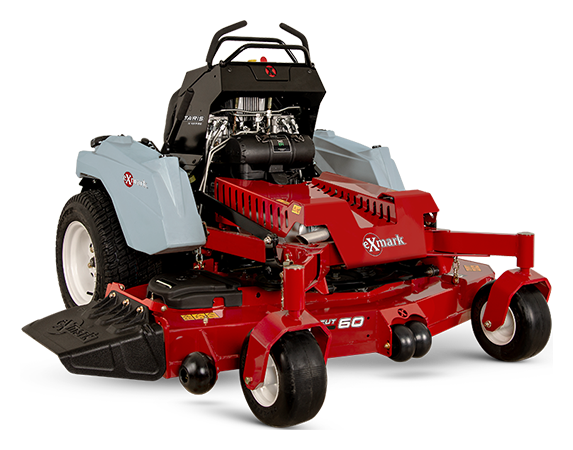 2019 Exmark Staris S-Series Stand-On EFI Mower Kohler 48 in. 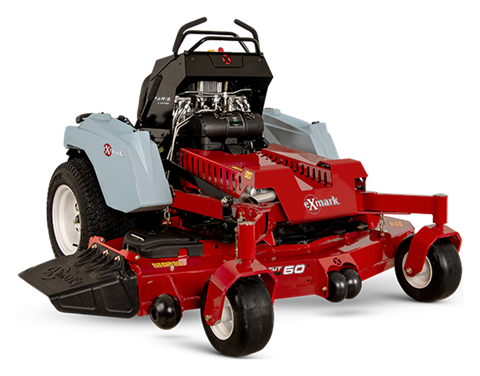 When you need maximum power and productivity from your stand-on mower, Staris S-Series with EFI have you covered. Get the maneuverability of a zero-turn rider in a more compact size. State-of-the-art Kohler EFI commercial engines deliver the power to tackle any job, at ground speeds up to 10 mph, and offer reduced fuel consumption. Proven hydro pumps and wheel motors use hard plastic lines instead of rubber hoses, for increased durability and reliability, with optimized routing. 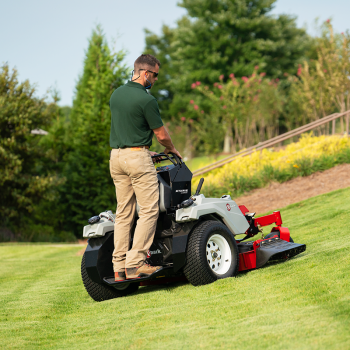 Available in 52- or 60-inch cut widths, UltraCut Series 4 side-discharge cutting decks deliver a signature cut quality, with the ability to easily mulch or bag clippings when properly equipped. The suspended operator platform increases operator comfort in-use, with the ability to quickly fold the platform up to decrease trailering space, or use the machine as a walk-behind mower. DRIVE SYSTEM: The trusted pump and wheel motor combination provides commercial durability and smooth control. The system utilizes hard hydraulic lines reducing potential leak points, improving durability and hydro-oil cooling. 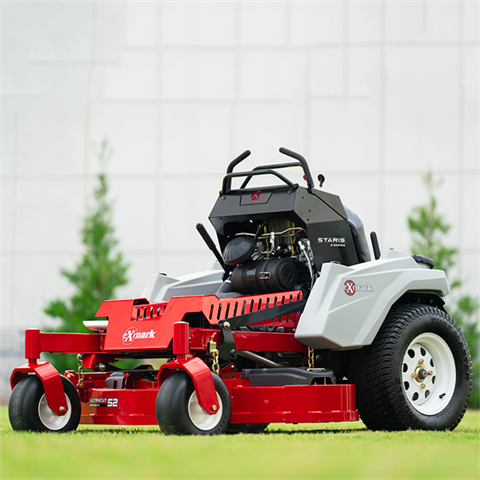 SERVICEABILITY: The flip up front cover gives operators easy access to perform routine lawn mower maintenance and cleaning, without the need for tools. The rear cover lifts and locks into place providing easy access to check and fill both engine oil and hydro fluid. OPERATOR POSITION: The large, open platform comfortably positions operators between the drive tires, making them feel integrated into the machine, while also allowing them to get on and off the machine quickly and efficiently. HEIGHT OF CUT: The height of cut system was developed for operators to quickly and accurately change the cut height by simply raising and lowering the deck. SMART CONTROLLER: The intuitive Smart Controller reduces downtime with maintenance reminders and on-screen machine health diagnostics along with an enhanced interlock display with both engine and PTO hour displays. CUT QUALITY: Available in a variety of deck widths, Staris S-Series features proven Exmark UltraCut Series 4 decks providing unmatched performance and Exmark's legendary quality of cut. Staris S-Series Stand-On EFI Mower Kohler 48 in.